The port of Finikas on Syros island is - besides the port of Parikia on Paros - the best bases for charters within the Cyclades. Moreover this port is easily reached through ferries and hydrofoils from Athens-Pireaus. Starting your bareboat charters out of Syros instead of Athens allows you to avoid the concrete suburbs in the vicinity of the Attica coastline. The quick ferry trip along that same coastline is a treat however, and finding flights towards one of the islands in not necessary at all! Best to study my guide to bareboat charter holidays. Northeast of Syros are two islands that are often overlooked in the standard bareboat charters, namely Tinos and Andros. Moreover, these islands can act as a stepping stone towards Samos, Patmos and Kos. Returning via Amorgos - arguably one of the most beautiful isles in the whole Aegean Sea - via Naxos and Paros makes for a superb itinerary which is also totally off the beaten track!!! In this glorious route you can combine the best of the north Cyclades, the eastern (southern) Sporades as well as the Dodecanese, but less than 10 days would mean racing past a lot of the must-see ports and anchorages and often islands deserve at least a visit of two days (several anchorages and ports). Therefore, to combine these islands it is adviced to sail at least 14 days either clockwise or anti-clockwise depending on the charter season. 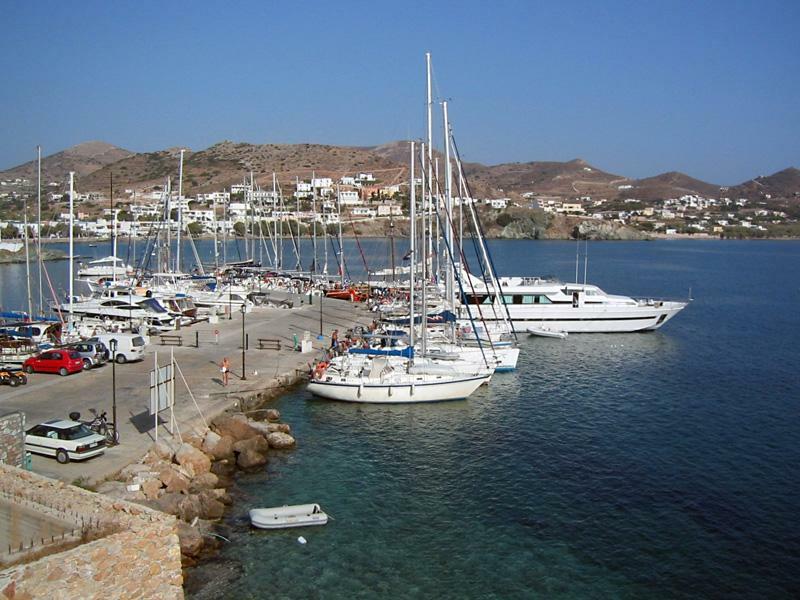 The other important port charters on Syros is Ermoupolis (marina); many trustworthy yacht charter companies offer their bareboats from this port as well.